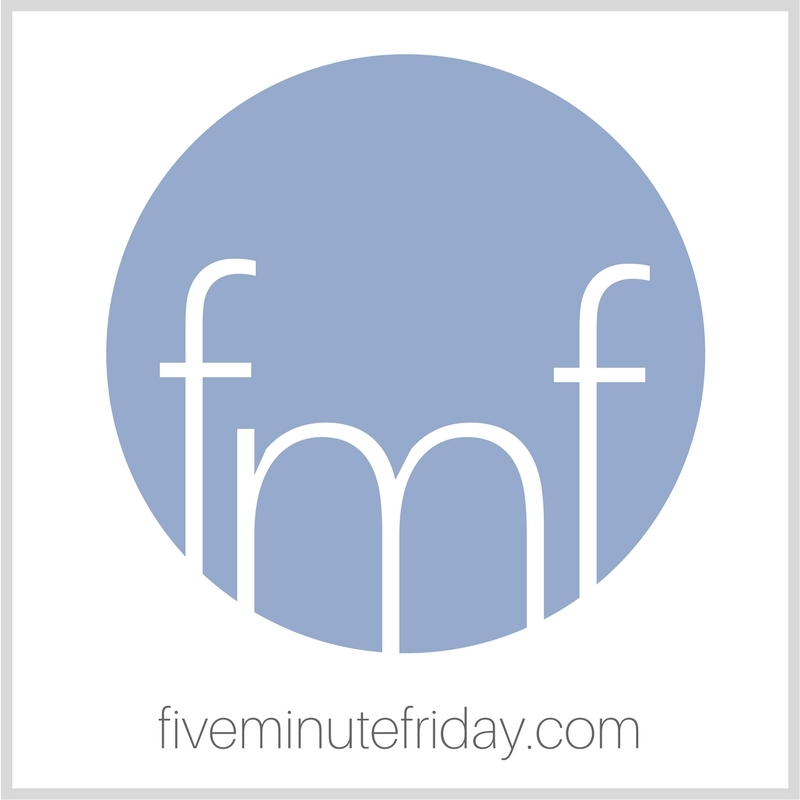 Welcome back to another round of Five Minute Friday Free Writes — our weekly blog link-up where we free write for five minutes flat on a single word prompt. We’ve been spoiled to have guest writers the past two weeks in a row — first Betsy De Cruz, then Christie Purifoy. And now I’m excited to get back to writing with all of you again! This semester at our church, the ladies are going through Jen Wilkin’s Bible study called God of Covenant, on Genesis 12-50. And I just had to pause and think about these words. It struck me so deeply that God is saying that HE is Abram’s reward. Not just land, not just descendants, not just possessions, but HE HIMSELF is Abram’s reward. This past weekend I had an opportunity to speak at a women’s retreat about the blessings and benefits of living with an eternal perspective. And I confessed during one of my talks that I haven’t always desired God above all else, even when I’m thinking about heaven. In fact, it wasn’t until after my mom died in 2011 that I started thinking more about heaven, even though I was a professing believer at the time. And then it bothered me, because why would I only start thinking about and longing for heaven after I knew she was there? Why was I not longing for heaven solely because GOD is there?? I had to think about these questions for quite a while, and I’m embarrassed to admit that I eventually came to the conclusion that I had made my mom an idol. I had elevated her above God in my mind and heart. The Lord used this realization to convict me and to increase my desire for Him and Him alone. The 30-Day ConvertKit Challenge starts April 1st. And now, it’s time to write! What comes to mind when you think of the word, REWARD? WoW! Kate, that revelation could be life-changing for you. He alone. Oh Kate, I too idolized my Mum. But I thought of heaven since I was little, but with fear because I believed people like my Mum were good enough, but I could never be. As my Mum lay dying, confessing her weakness and sins freely, my eyes opened to heaven in a new way, as I began to see that all the good things in my Mum had always been God in her. And it’s then I also let God into parts of my heart I had shut off, no longer downplaying harm done to me and my yearning to be known in a deeper way. My Mum gave me such a gift by breaking the pedestal I had put her on. Thank you for reminding me. He is the One I do this for. He is the one who has given me every desire in my heart with my three precious children. He is the giver of all things good and He is the One who will help me keep pressing on and doing what is good. Your words convict me. I don’t long for Jesus enough. I’m struggling today with something that’s going on at work, and your words soothed my angry temper and tempest of the heart. Hard to think of heaven for me sometimes. on me, for this is my moment. where I stand, I’m good to go. and I will pay back every blow. and this is my reward bespoke.